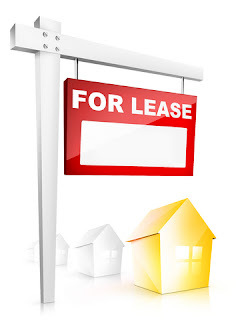 If you rent as opposed to owning your property then there are many different rights and responsibilities pertaining to your leasing of the property. Most often, landlords will either work with a letting agent or have a great deal of knowledge of the legalities in the contract. Aside from going to the Citizen’s Advice service on certain matters, a tenant may well be in the position where they are unsure of their standing on a variety of situations. This applies most specifically to furnished accommodation. If there are electrical appliances provided within the flat by the landlord then they must meet the required safety standards. PAT Testing (or Portable Appliance Testing) refers to all such electrical appliances and must be carried out on electrical items by a qualified individual. Once an electrical item has been passed safe, it will have a PAT sticker affixed to the item (often around the chord or on the back of the plug). This will usually be dated; however there is no strict requirement for timescales of repeat testing. With regards to gas central heating there are far stricter rulings. Each year (and at the start of a new tenancy) a tenant can request that a Corgi-registered Gas Inspection Certificate be supplied. If there are repairs required to the accommodation then it is entirely the landlord’s responsibility to ensure they are made promptly. This refers to damages not caused directly by the tenant (in this case the tenant will be responsible for costs or in some cases evictable from the property). If you find that the property is in disrepair in some way then repairs must be made promptly. To ensure that it is officially documented, submit the request in writing to the landlord or letting agent and ensure that you keep track of the dates. A written letter is more valid as a legal recourse than a phone call if it does come to that. If the landlord does not arrange to have the repairs made within a reasonable time period then you should seek legal advice. Citizen’s advice centres are widely available and are equipped to provide full recommendations in dealing with such issues. For a large number of properties this will simply not be allowed as it can bring up all manner of legal confusion over who is responsible for damages, rental payments, etc. It will be apparent in the rental agreement and contract if this is the case. In the case that this is not within the contract then the tenant will have to obtain written permission from the landlord to do so. In this case, whether it be a lodger or a sub-letting arrangement the primary tenant will still be majorly responsible for ensuring that the contract and standard legal requirements are adhered to. If you are planning on leaving the property unoccupied for an extended period of time but are continuing to rent then you must inform the landlord or letting agent of this. This way they will be able to ensure that they have access to the property in your absence and also that if damage or break in occurs then you will not be held responsible. An extended period of time refers to anything over 14 days. Dependant on the rental agreement, the notice period may vary but generally this will fall between 4 weeks and 1 month dependant of the rent details. Often it will be the case (for a short term lease) that you cannot terminate the contract within the minimum stay period (often 6 months) other than coming to some mutual agreement with the landlord. On vacating the flat, the landlord or agent will be required to return the security deposit within 30 days. This will be pending a full examination of the property for damage caused. Finally, the most important piece of information regarding entering into a rental agreement is to read the contract thoroughly. There are often a wide range of details and requirements that are specific to the property and you will be required to adhere to them by law. Vice versa, this of course applies to the landlord.